In most cases, we use variant functions to retrieve desired output value back into the configuration with the help of FUNCTION call from object dependencies. It is nicely explained in here already by one of our friend. 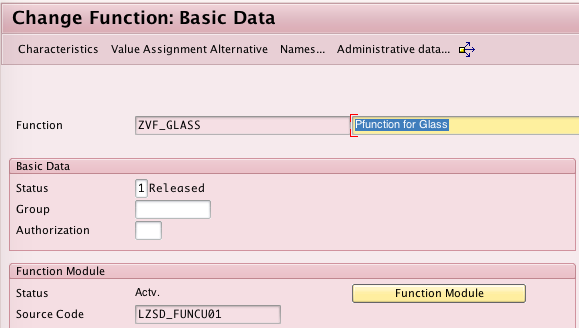 In this write up, I would like to explain what is PFUNCTION and how it is different from FUNCTION call. I came across with a situation where we need to read all the configuration data and I can not specify the exact inputs for this function. Because the input parameters get changed for each and every product. New way of calling the function module in object dependency is to simply change the procedure to PFUNCTION instead of calling it as FUNCTION, then we don’t really need to specify any arguments to it. When a function module is called with PFUNCTION, it populates GLOBALS structure which has an instance of the configuration. 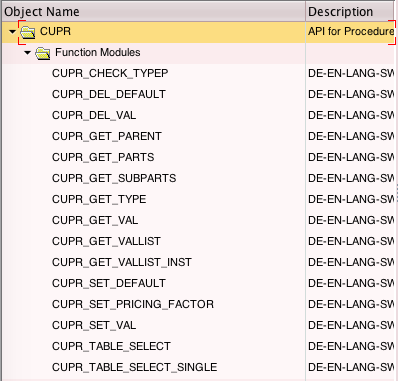 Using the Instance number we can use any of the function module in CUPR function group. For example, use CUPR_GET_VAL to read any characteristic value from the configuration and use CUPR_SET_VAL to set a value back into the configuration). The main advantage using PFUNCTION is that we don’t need to specify any arguments (input & output parameters) and instance number will be sent automatically to read the configuration data. I found this is so helpful in terms of getting and setting data in variant configuration using variant functions. 1. List of characteristics created. 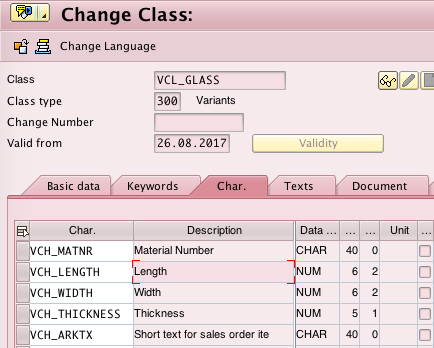 VCH_ARKTX will get populated with concatenated text with Material, Length, Width and Thickness. and assigned to this variant function. It does not has any input or output parameters. 3. Call Variant function from the configuration. 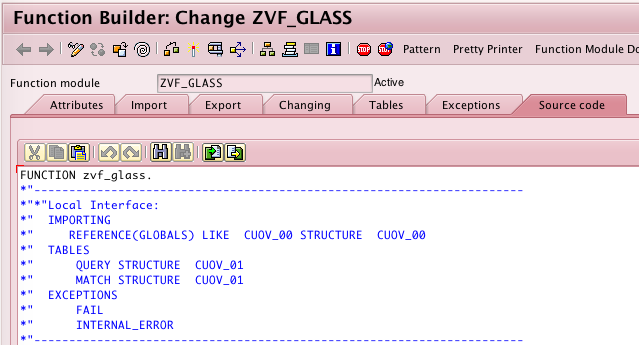 Assign a procedure to the configuration profile and call variant function as shown below. 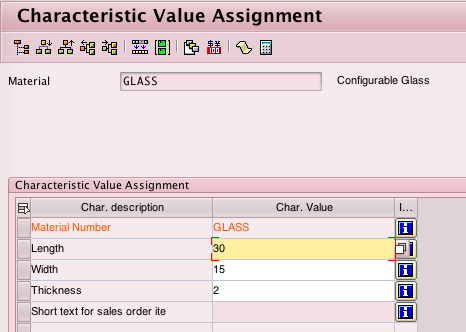 Material number characteristic is a referenced characteristic for VBAP-MATNR. So material will get populated automatically. 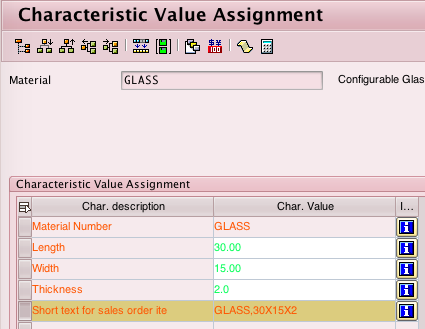 Material description will get populated from pfunction call upon providing Length, Width and Thickness. Variant function will be called and it outputs Item text into the configuration. CONCATENATE lv_length lv_width lv_thickness INTO lv_desc SEPARATED BY ‘X’. CONCATENATE lv_matnr lv_desc INTO lv_desc SEPARATED BY ‘,’. Following function modules from function group CUPR can be used in this variant function.